"Grazie Padre Santo! Le campane di Roma eterna rendono l'ultimo omaggio al dolce Cristo in terra. 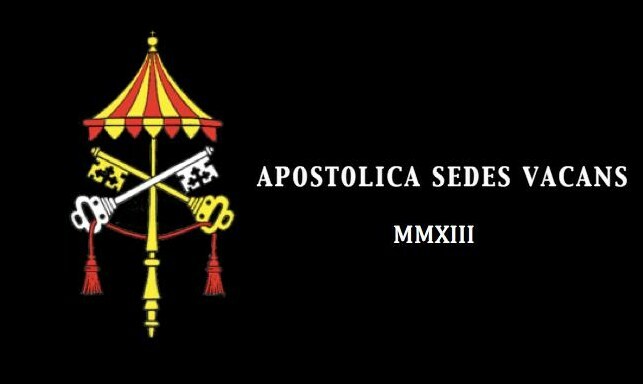 APOSTOLICAE SEDIS VACANTIS STATVS: Veni Sancte Spiritus! Gratias Agimus Tibi, Beatissime Pater! "Just said the Lenten preces for the first time ever without mentioning the Pope." "Buia è per noi la notte del mondo, ma non è mai senza stella: c’è il Papa." Hic Pastor et Vicarius: Altissimi Praelatus Est! The Duty of Confirming the Brethren! Noi Vogliamo Benedetto di Nuovo e Per Sempre! 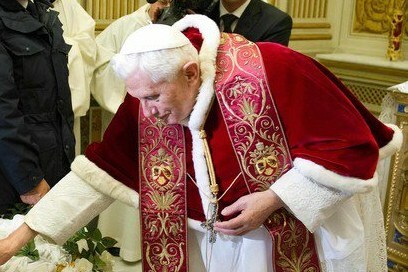 Yours truly has been fortunate to have met Pope Benedict 9 times. 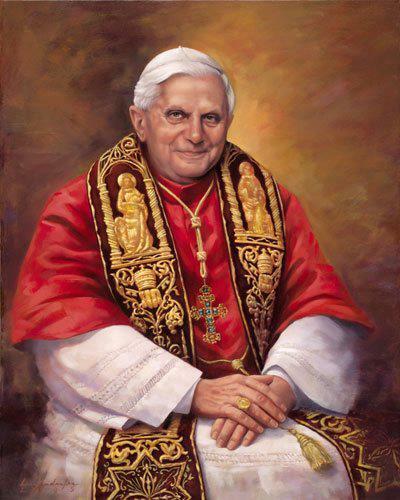 I am thinking of writing a reflection on my memories of his glorious pontificate - having been an eyewitness - on an often weekly basis. If there were tears shed in the Sistine Chapel by J.A. 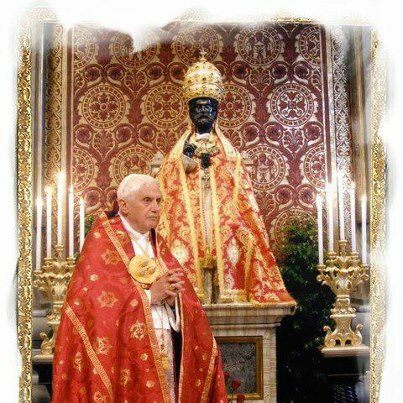 Ratzinger on the 19th of April AD 2005, then there will be tears shed again by the same man of God as the cardinal electors elect him yet again for a second time. No pope need feel alone. Mai piu'! 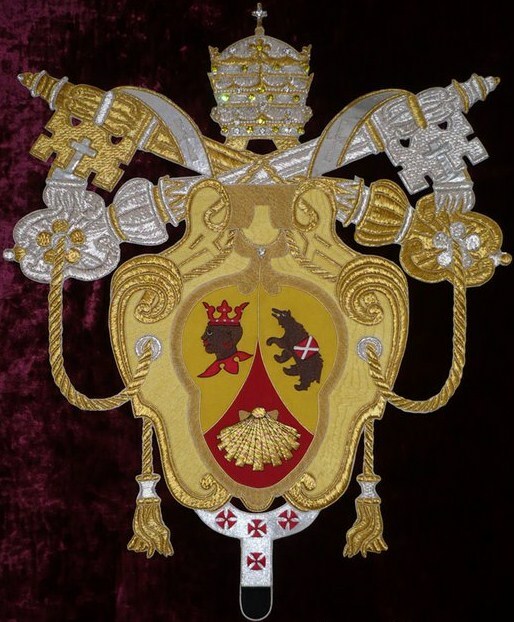 The college of Cardinals can work together in unison with the popes to face this bolus of corruption in the Vatican. 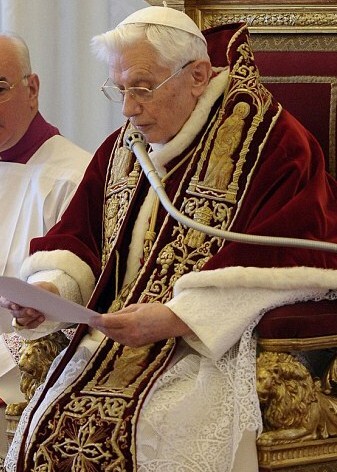 Already this Pope has saved the day thanks to some recent crucial Vatican appointments. I always said my two great joys of living in Rome during this historic German pontificate were to hear a native-speaking German pontiff speaking his native German in St. Peter's Square as well as having had the honor to enter the Sistine Chapel many hundreds of times, often twice daily. 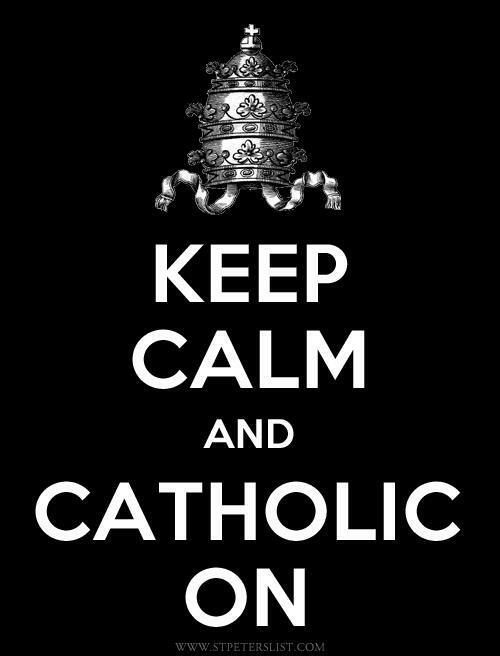 Catholic blogs were really born during his pontificate. It has been a time of authentic growth and authentic renewal. 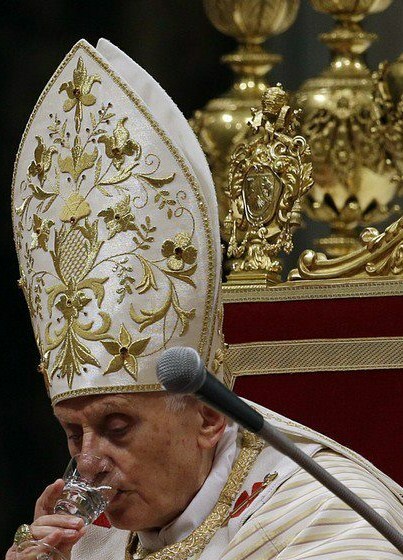 A Toast in Honor of Pope Benedict XVI: "Brindiamo!" Often the earliest spring flower planted in Europe. 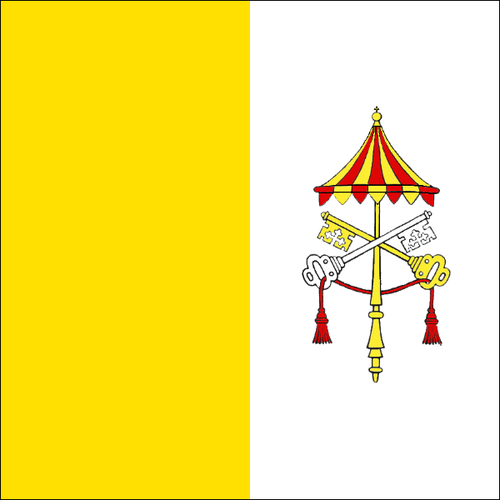 Nice to see the papal colours. I was first his altar boy in 1996 when he sang Pontifical Mass at the Church of St. Agnes in Saint Paul, Minnesota. It was a proud moment. He is the very finest. Lots of people Google this and now they will be led to this post. Seen in St. Peter's Basilica. Apostolorum Principem: Celsam Columnam Ecclesiae! It was just gorgeous today to be treated to two separate renditions of Tu Es Petrus - as both an Offertory motet and a Communion motet - by Hans Leo Haßler and Clemens non Papa. My eyes filled with tears during the Hans Leo Haßler motet knowing what a historic time this has been for all people of German heritage. This has been our moment - our German pontificate. 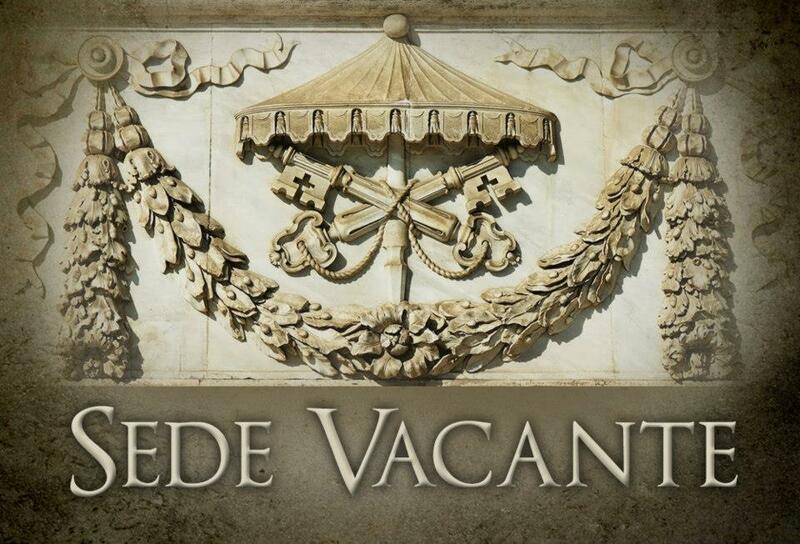 Pope says more or less, "Deus te filiamque uxoremque benedicat!" Baby von Sonnen says more or less, "OPTIMUM EST!" Santita', ti ringraziamo! Gentilissimo! E rimani con noi per sempre. Very nice. Although obvious the artists are the ones who paint governors and senators. 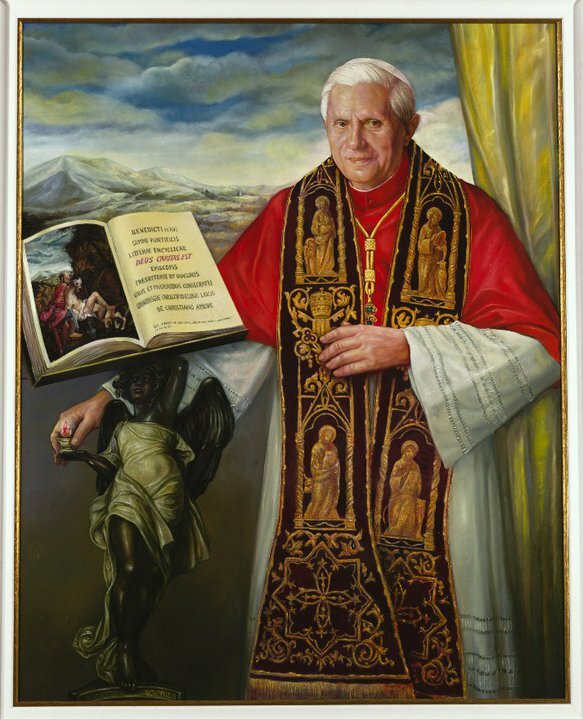 Would be nice for us to make a return to the footprint of papal portraiture coming from, for example, the eighteenth and nineteenth centuries. Having lived in Rome you get a taste for the glory of papal portraits of old. 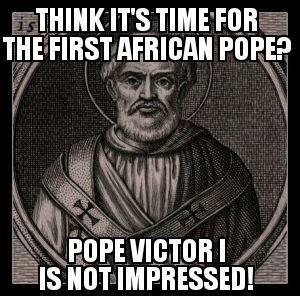 We have the idiot press reporting - as they did in 2005 - that the "first non-European" pope might be elected. Too funny. 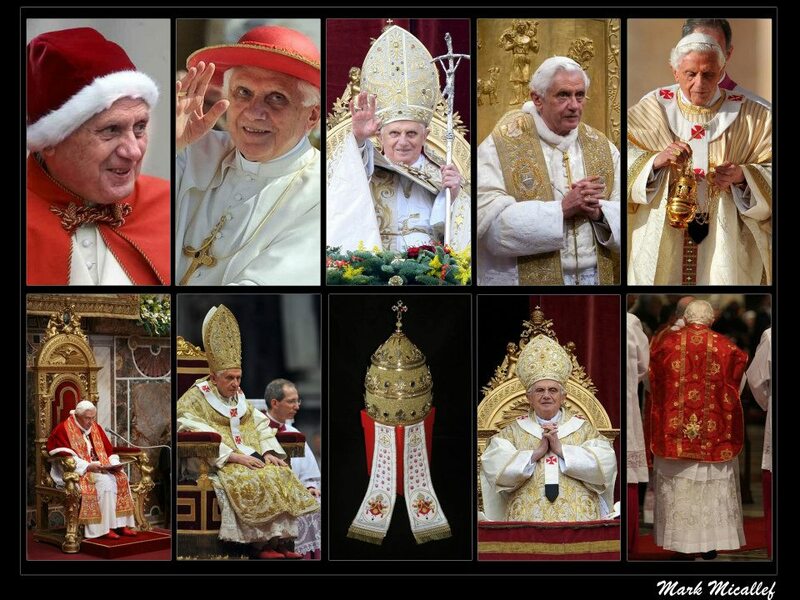 We have had popes from all over. Even Syria. TV ES PETRVS: AD MVLTOS ANNOS! Too often we do not even hear of them. 97 years on the planet earth. OGGI PIU' CHE MAI: Solidarietà e Vicinanza al Santo Padre! 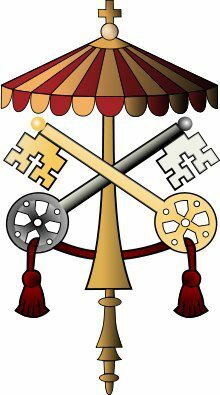 "Hence by divine institution he [the Pope] enjoys SUPREME, FULL, IMMEDIATE, AND UNIVERSAL AUTHORITY over the care of souls." -Vatican Council II (Christus Dominus, 2). See here and show your support: http://www.zazzle.com/matthewalderman/gifts. A worthy rendition by the North American artist, Matthew Alderman. The original image was commissioned as part of another project done for Mr. Paul Tiseo of Theandric Music. Lenten Stational Churches in Rome: St. Anastasia, Pray for Us! Introitus (Ps. 89, 1 et 2) DÓMINE, refúgium factus es nobis a generatióne et progénie: a saéculo, et in saéculum tu es. (Ps. ibid., 2) Priúsquam montes fíerent, aut formarétur terra, et orbis: a saéculo, et usque in saéculum tu es, Deus. Oratio. RÉSPICE, Dómine, famíliam tuam: et praesta; ut apud te mens nostra tuo desidério fúlgeat, quae se carnis maceratióne castígat. Felix dies natalis sit tibi. 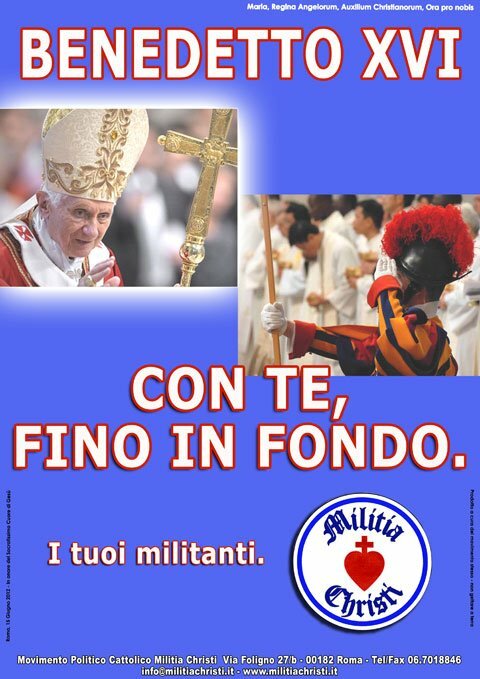 "Viva il Papa" (Italian for "Long Live the Pope")! E' meglio la sedia gestatoria e basta. 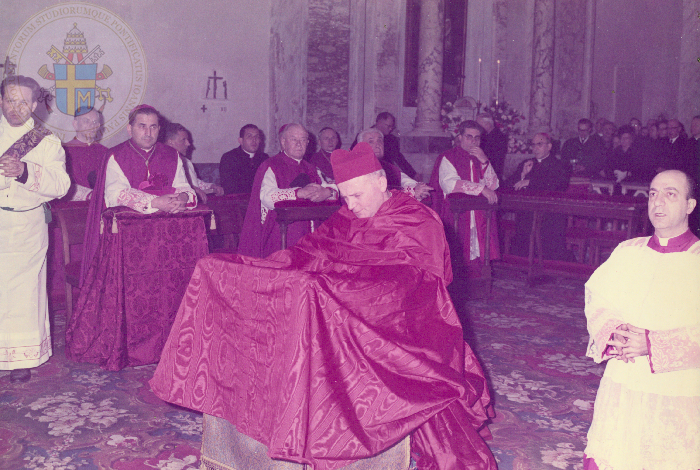 Karol Cardinal Wojtyla in cappa magna at his titular church in Rome, San Cesareo in Palatio. 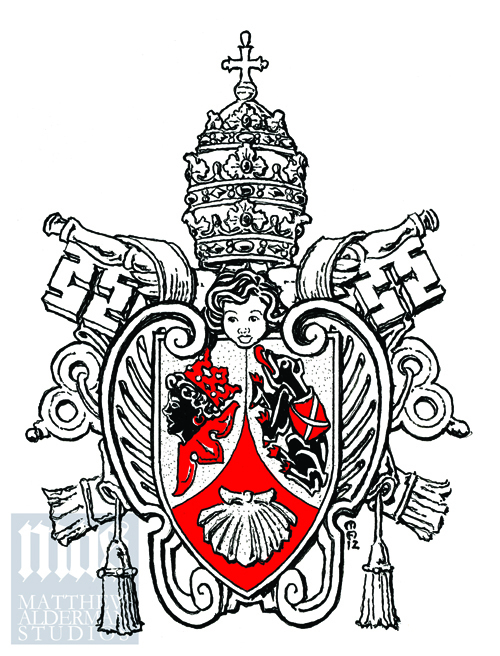 "Es Lebe der Papst" (German for "Long Live the Pope")! 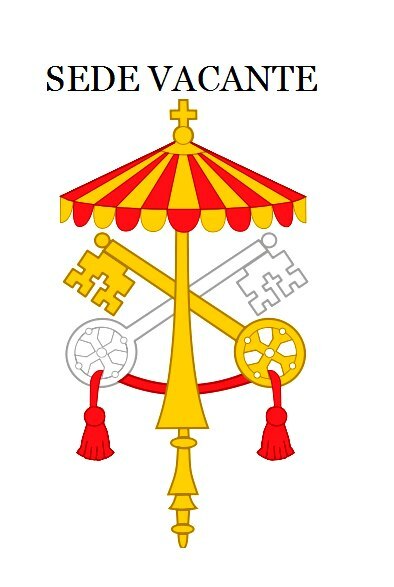 Prayers for His Holiness the Pope, and his private intentions. 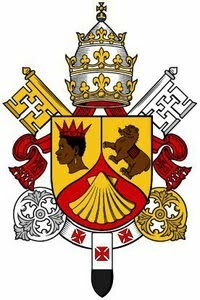 A must see on the papal resignation: http://www.cbc.ca/player/Shows/Shows/The+National/ID/2335264606/. Knowing Latin Helps: "Qui Res Mundi Vellet Scire Linguam Latinam Cognosciat." Want to Study in Rome (for Free)? 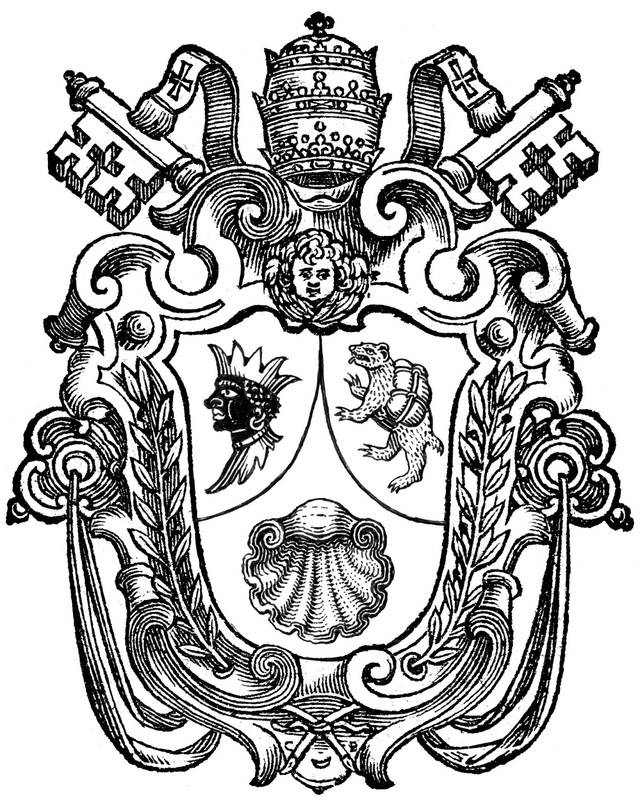 Consider this very generous scholarship to study at Rome's Dominican university. "As history in fact shows, whenever an individual Church has cut itself off from the universal Church and from its living and visible center - sometimes with the best of intentions, with theological, sociological, political or pastoral arguments, or even in the desire for a certain freedom of movement or action - it has escaped only with great difficulty (if indeed it has escaped) from two equally serious dangers. The first danger is that of a withering isolationism, and then, before long, of a crumbling away, with each of its cells breaking away from it just as it itself has broken away from the central nucleus. The second danger is that of losing its freedom when, being cut off from the center and from the other Churches which gave it strength and energy, it finds itself all alone and a prey to the most varied forces of slavery and exploitation." 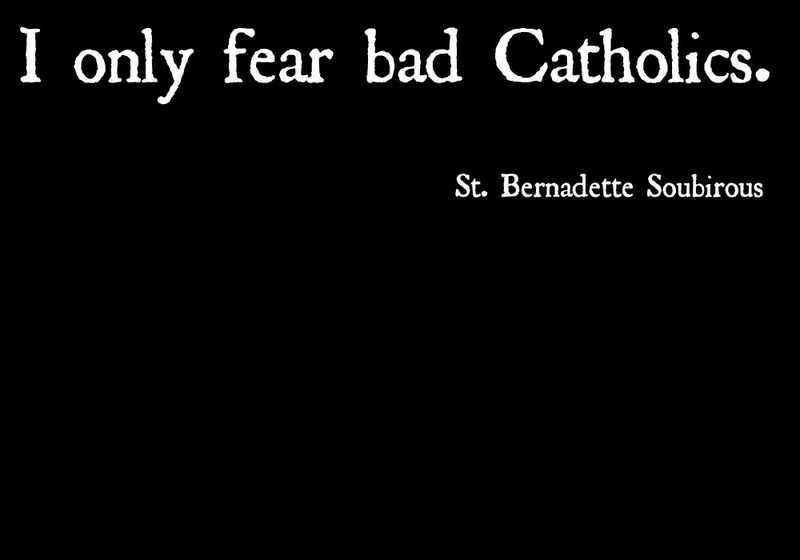 "In our time more than ever before the greatest asset of the evil disposed is the cowardice and weakness of good men, and all the vigor of Satan's reign is due to the easy-going weakness of Catholics. Oh! If I might ask the divine Redeemer, as the Prophet Zachary did in spirit: 'What are those wounds in the midst of Thy hands?' The answer would not be doubtful. With these was I wounded in the house of them that loved me. I was wounded by My friends, who did nothing to defend Me, and who, on every occasion, made themselves the accomplices of My adversaries. And this reproach can be leveled at the weak and timid Catholics of all countries." -Pius X (Dec. 13, 1908). 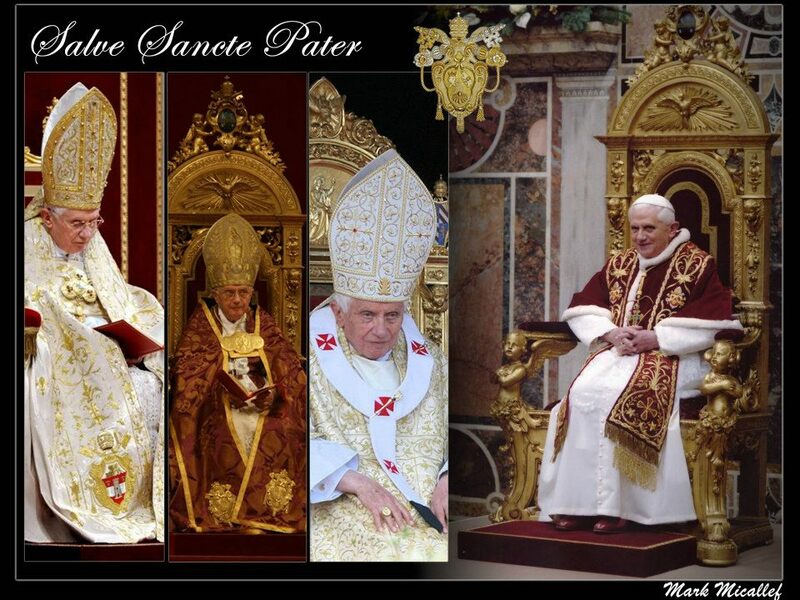 "In the Church the Roman Pontiff is the successor of Peter, to whom Christ entrusted the feeding of His sheep and lambs. Hence by divine institution he enjoys SUPREME, FULL, IMMEDIATE, AND UNIVERSAL AUTHORITY over the care of souls. Since he is pastor of all the faithful, his mission is to provide for the common good of the universal Church and for the good of the individual churches. 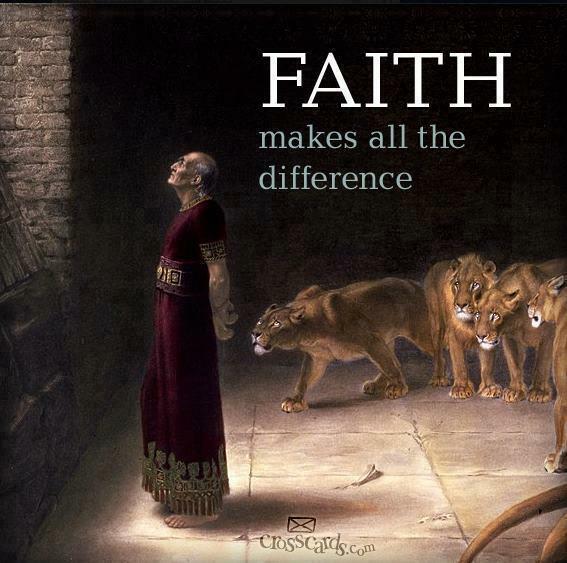 He holds, therefore, a primacy of ordinary power over all the churches." -Christus Dominus (Decree on the Bishops' Pastoral Office in the Church). The best part of Benedict was that he knew how to speak to Europeans. Because he had read and learned what had corrupted them - the modern and contemporary philosophers - "the great intellectuals". 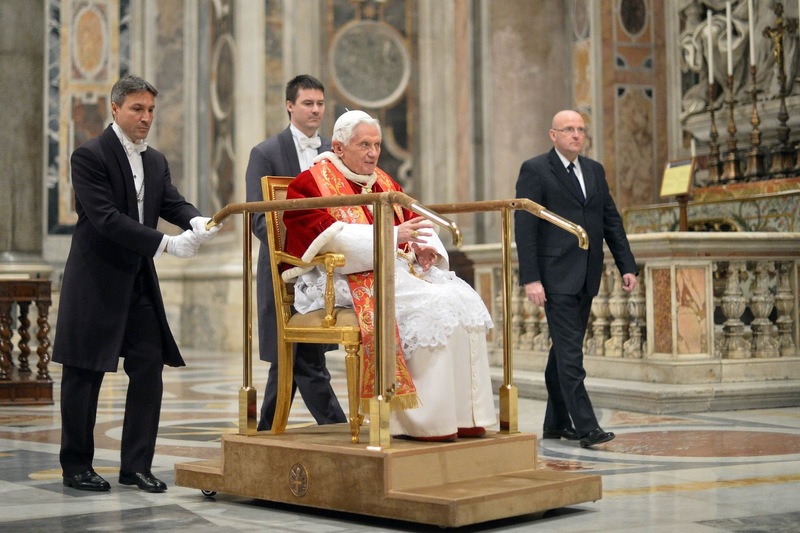 Benedictus Bis Eligendus: "Reelect Benedict"
Tip of the fedora to the famous Fr. Z. "There was the Council of the Fathers – the true Council – but there was also the Council of the media. It was almost a Council in and of itself, and the world perceived the Council through them, through the media. So the immediately efficiently Council that got thorough to the people, was that of the media, not that of the Fathers. And while the Council of the Fathers evolved within the faith, it was a Council of the faith that sought the intellect, that sought to understand and try to understand the signs of God at that moment, that tried to meet the challenge of God in this time to find the words for today and tomorrow. 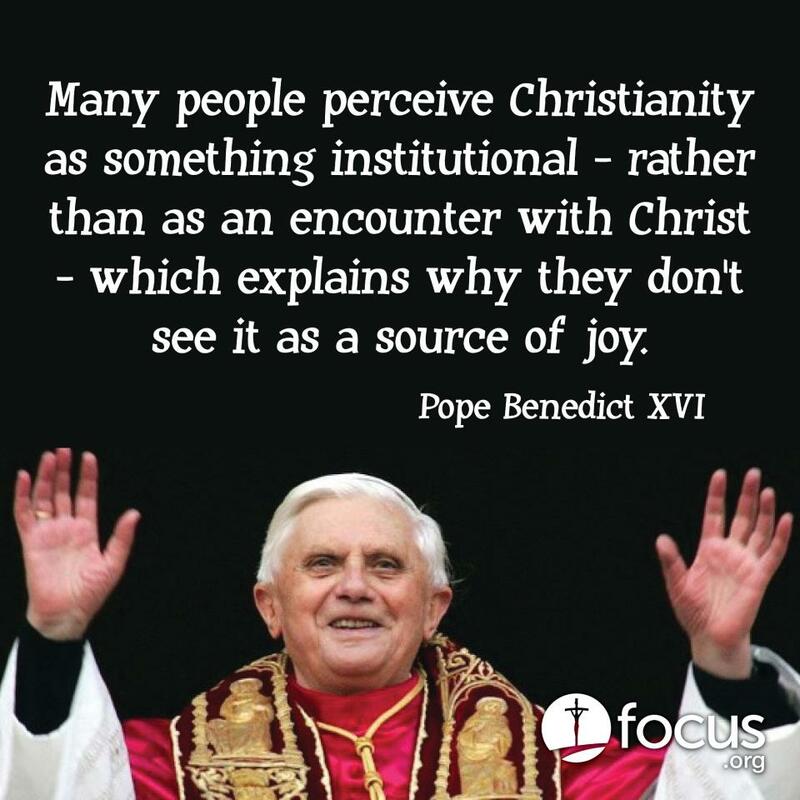 So while the whole council – as I said – moved within the faith, as fides quaerens intellectum, the Council of journalists did not, naturally, take place within the world of faith but within the categories of the media of today, that is outside of the faith, with different hermeneutics. 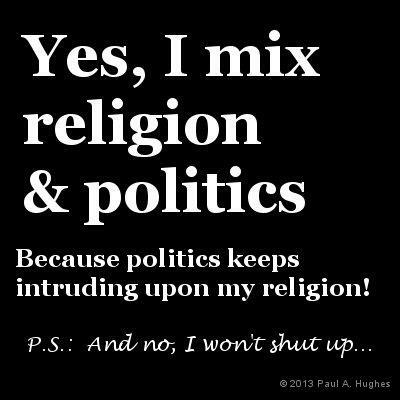 It was a hermeneutic of politics. The media saw the Council as a political struggle, a struggle for power between different currents within the Church. It was obvious that the media would take the side of whatever faction best suited their world. 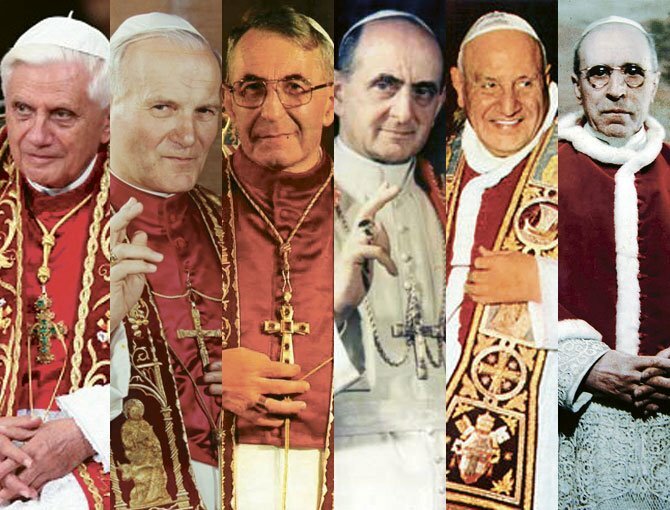 There were those who sought a decentralization of the Church, power for the bishops and then, through the Word for the “people of God”, the power of the people, the laity. There was this triple issue: the power of the Pope, then transferred to the power of the bishops and then the power of all … popular sovereignty. Naturally they saw this as the part to be approved, to promulgate, to help. This was the case for the liturgy: there was no interest in the liturgy as an act of faith, but as a something to be made understandable, similar to a community activity, something profane. And we know that there was a trend, which was also historically based, that said: “Sacredness is a pagan thing, possibly even from the Old Testament. In the New Testament the only important thing is that Christ died outside: that is, outside the gates, that is, in the secular world”. Sacredness ended up as profanity even in worship: worship is not worship but an act that brings people together, communal participation and thus participation as activity. And these translations, trivializing the idea of the Council, were virulent in the practice of implementing the liturgical reform, born in a vision of the Council outside of its own key vision of faith. And it was so, also in the matter of Scripture: Scripture is a book, historical, to treat historically and nothing else, and so on. I, retired in prayer, will always be with you, and together we will move ahead with the Lord in certainty. The Lord is victorious! Thank you." 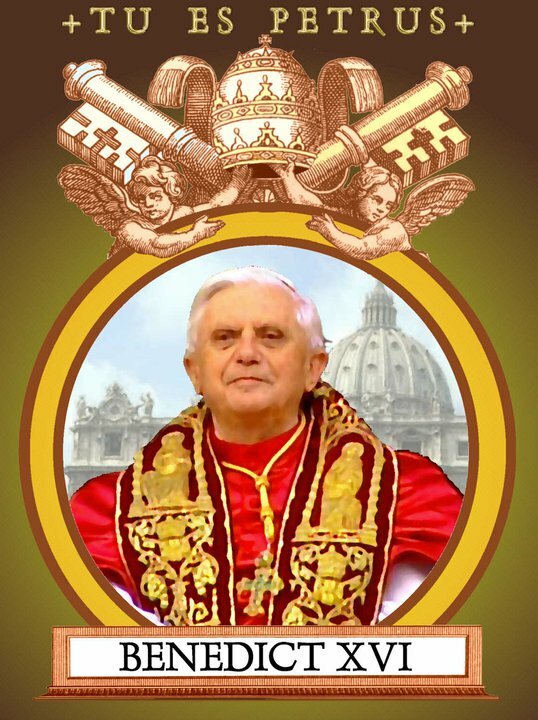 Oremus pro Pontificibus Nostris Sanctae Romanae Ecclesiae: Cathedrae Veritatis! 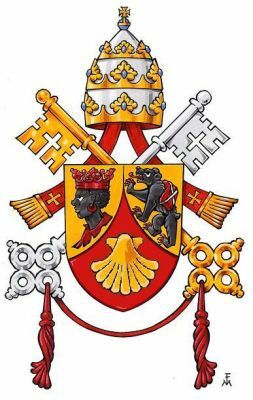 In Sancti Petri Cathedra: Apostolorum Principem! O Petre, Petra Ecclesiae: Gloriosamente Regnante!